LINCOLN, Neb. — Bowl preparation rolls on for the Nebraska football team and on Tuesday, it was the coordinators’ turn to step up to the table to speak with the media. The biggest question hanging over the team in advance of the Music City Bowl against Tennessee is the state of the quarterback position. Langsdorf said they’ll have better idea of who will be available soon, but as of now Ryker Fyfe is getting all the first team reps with quarterback turned slot receiver turned holder turned quarterback again Zack Darlington running with the second team. Starter Tommy Armstrong Jr. is dealing with a hamstring injury he re-aggravated against Iowa, while Fyfe is recovering from a broken bone in his wrist suffered against Maryland. Fyfe hasn’t been told he will start, but like he has been since Armstrong first got injured he is preparing as if he will play. Fyfe said he injured his wrist during the third quarter on senior day against Maryland, his last start. Fyfe said he rolled out and threw the ball sidearm style and landed on his left wrist. If Fyfe is indeed the starter against Tennessee, Langsdorf said they will adjust the game plan to play to his strengths. If Armstrong has any hope of playing in the bowl game, Lansdorf said he will have to return soon, although he did not give any sort of timetable. He said it is hard to go in and play without at least a full week of practice. 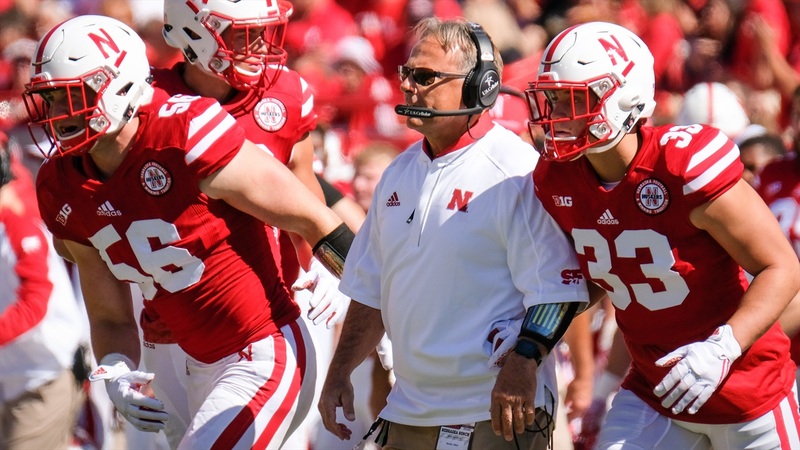 The Huskers are still early on in their Tennessee preparation, but Langsdorf gave a breakdown of what he saw from the Volunteers on defense this year. Defensive coordinator Mark Banker also gave a rundown of what he sees on tape from the Tennessee offense. Quarterback Joshua Dobbs will be the focus for the Blackshirts as they try to slow down the Volunteers.